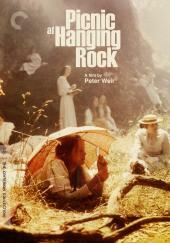 The Rockport Film Review: The Mystical "Picnic at Hanging Rock"
The Mystical "Picnic at Hanging Rock"
Mystical and Mysterious are only two of many words to describe Peter Weir’s 1975 film “Picnic at Hanging Rock”. One of the great films to come out of Australia is based on a book by Joan Lindsay and still holds and strangely intense appeal even today. Is it a Drama? Science fiction? Horror? Mystery? 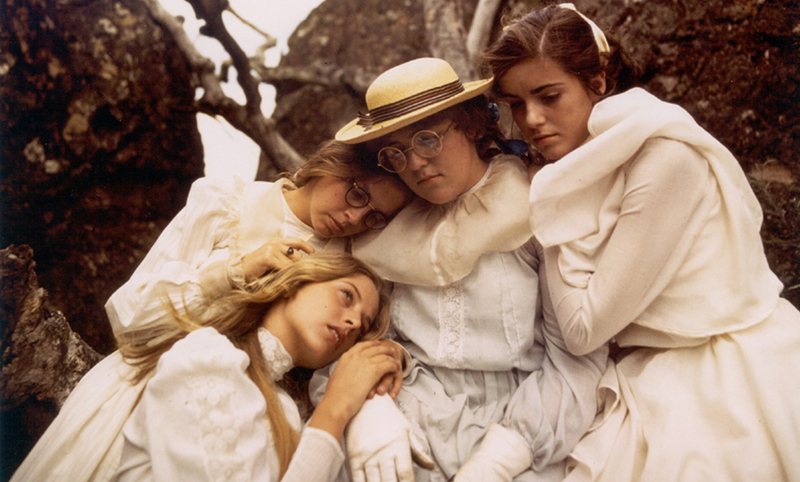 It’s “Picnic at Hanging Rock”. We are introduced to a small Girls College on Valentine’s Day 1900 were the girls are preparing for the “Picnic”. The soft melancholic and slightly erotically charged scenes of the girls getting ready with there corsets and flowing hair. Glances to one another through mirrors and an air of youth and beauty. Sarah, an orphan, is not allowed to join the girls on this trip. She must stay behind with the stern and strict Mrs. Appleyard whose name is on the building. The girls board the carriage and make their way to the mysterious mountain. Clothed in long white formal dresses in the midday sun, the girls are not alone as another well to do family is picnicking there as well. Their teenage son, Tom, and a slightly older carriage driver look upon the girls. The theme of repressed sexuality is a major theme within the film and can be felt in almost every scene. The atmosphere of the film is very unique as it blends together so many emotional notes in an almost subconscious way. Lounging at the mountainside and in the tall grasses, The carriage driver notices his watch has stopped, the same with the chaperones. This little bit of ominous foreshadowing just adds to the mystery. After lunch Four girls, Miranda (the Botticelli Angel), Irma, Marion, and Edith (the complainer) venture into the labyrinth of stone to explore the mountain. They almost immediately seem to become entranced, except for Edith who continues to complain about everything. They lounge around and end up napping, upon waking the three girls almost as if being led by a mystical force walk further up the mountain and vanish. A hysterical Edith is found and brought back to camp. What happens to the girls? This is the question that has been fueling this film since its premiere. Search parties are sent out but its as if they just disappeared or never existed at all. No Bodies, no evidence, nothing. Tom, motivated by his brief encounters with Miranda, takes on his own search of the mountain and although he comes back bruised and battered he finds Irma! She is found without her corset, shoes or stockings and after a doctor's examination found to be quite “intact”. When asked what happen she remembers nothing. The loss of Miranda hits Sarah the hardest as her infatuation with her was quite deep. She is also on the verge of being kicked out of school for non-payment or her tuition. With the scandal of the lost girls, Mrs. Appleyard’s enrollment dwindles. Bad things tend to happen in repressive societies as you can only keep actions and emotions down so long until they will eventually explode and everyone has their breaking point. “Picnic” is a richly layered film in which each viewing can reveal something new. A "Mustang" Cannot be Tamed! Sofia Coppola's Debut Film "The Virgin Suicides"